I really enjoyed the service there as I do all Disney restaurants. They are always nice and friendly and the waiters/waitresses were dressed according to the theme. Now onto everyone’s favorite part, the food! This masterpiece has a variety of ice cream including, chocolate, vanilla, coffee, mint, strawberry, served in an actual Kitchen Sink! It can serve 6-8 people and has every topping you can think of including brownies, Oreos, peanut butter, gummy candies, banana, and an entire can of whip cream just to name a few (actually 32 toppings to choose from). When waiters would bring it out, it looked like too much for me to tackle but many people were up to the challenge! This scrumptious ice cream dessert includes snickers, scoops of vanilla ice cream, cherry, hot fudge, marshmallows, whipped cream and peanuts. It is big enough to feed two so don’t feel bad if you can’t finish it! I was proud of myself for even making a dent in this huge glass of deliciousness. If you love snickers, this will be a dream come true! 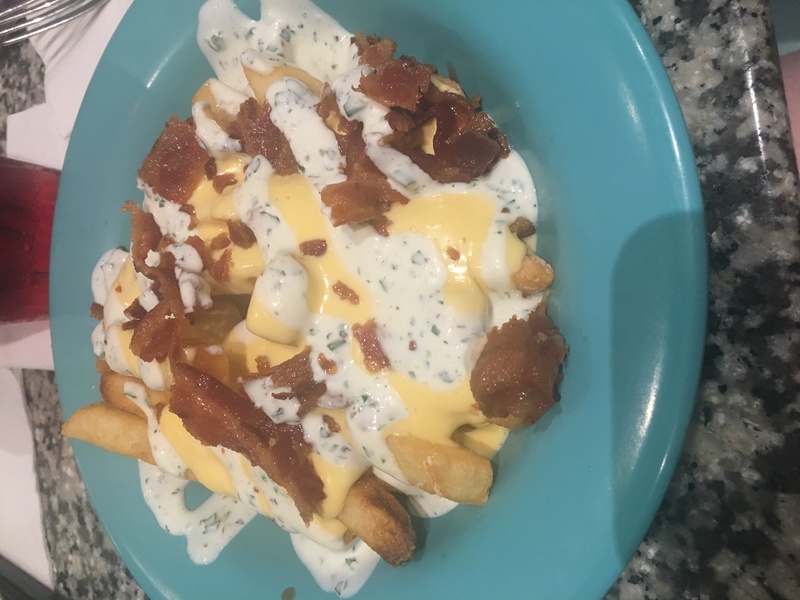 This bowl of bacon, cheese, creamy ranch, and perfect French fries will be just the thing you crave when you eat at Beaches and Cream. It’s unique ranch on top was amazing! It definitely reminds me of a loaded baked potato! I loved it because it was different than what I’ve had before and it was the perfect size for one person. I can’t say there was anything I didn’t like about it! 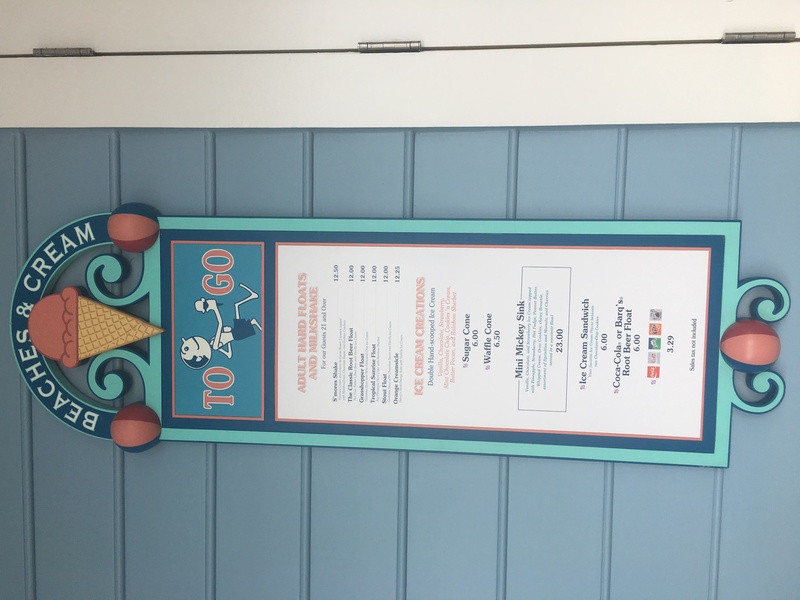 Make sure you check out this restaurant for all it’s Disney Magic! This is one of my new favorite places to be and the best for all the summertime madness. I give this location 2 Mickey thumbs up! Don’t miss out! Next story Final Day for Rob Benedict’s “Rock God Roadie” Campaign!